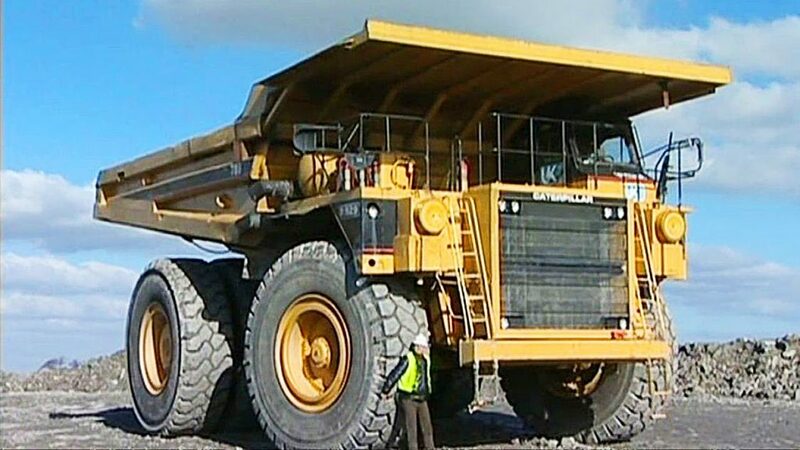 In heavy duty construction and opencast mining companies use heavy duty dump trucks to haul the ore for the open cast mine and construction sites. The trucks haul up to 500 tons of ore in a single load thus the trucks have huge very expensive tires that is damaged by the road surfaces and incorrect tire pressures and operating temperatures. Thus monitoring the pressure and temperature of these tire and surface that they operate on is critical as this process can extend the life of the tire by up to 30%. Obviously extending the life span is a substantial direct cost saving but by adding these monitoring devices the operation also saves on the time that the vehicle/s would be out of service due to damaged tires and the cost with stoppage on the hauling roads if a blowout does occur. Warnings and statuses from the in-rim sensors are relayed to a cloud based database using ISM band wireless technology to a centralized in-cab and ether WiFi or GSM based communication to the cloud based server. The in-cab unit can also generate warnings to alert the vehicle operator and a messaging service is use to alert the appropriate manager and workshop personnel, creating the opportunity to service the tire before any real damage is done. The sensor constantly relay current conditions to the database on regular intervals to ensure that data samples are collected for analysis. Although off-the-road tyres are engineered and built with massive strength to support today’s equipment, there is still a limit to the abuse and punishment any tyre will take. Successful tyre cost management and control begins with top management. For instance, as changes occur in project processes, it will influence required tyre pressure. The layout and surface conditions of the haul road will also affect the tyre-life. The purpose of the TyreCop is to have a wireless Tyre Pressure Monitoring System that will accurately measure internal tyre temperature and pressure while in use and will measure the actual G-force/shock on the axle. By automating internal tyre pressure and temperature measurements and receiving reporting on any deviations, organisations are now empowered to actively increase the life span of the tyres fitted to vehicles used in its operations. TyreCop has been developed with the mining segment specifically in mind.